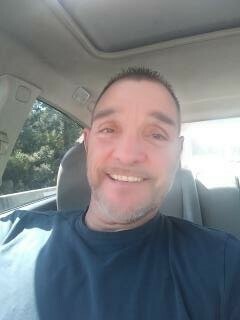 Terry, age 53, died Monday April 8th, 2019 at Jag Healthcare “Shelby Pointe”. Born on June 13th, 1965 in Cleveland Ohio to the late Arlene Simec – Hasquin. He graduated from Cuyahoga Heights High in 1984.Terry had been a Shelby resident since March, 2019. He moved from Aynor, South Carolina where he had been living with his sister(Holly) and his nephews (Michael and Johnathan). Terry is Survived by his son Joshua (Ashley) Rhone, His Granddaughter Karis Rhone, His sister Holly Rabon, his brother Timothy Rhone, and his nephews Michael & Johnathan Walters. A memorial service will be held 4:00 PM Saturday April 13th, 2019 at the First United Methodist Church at 18 S. Gamble St. in Shelby.